This was passed by the Fremont men and all others opposed to Mr. Lincoln, and was with difficulty prevented— It resulted, however, not only in their not passing any such resolution, but I succeeded in inducing the Committees to sign an autograph letter addressed to the President, pledging him their continued support &c &c.
Still, the New York convention “witnessed a spirited struggle between conservatives and Radicals,” wrote historian James A. Rawley. “Yet the convention’s outcome was an endorsement of Lincoln; happily, for as Morgan said, ‘The State of New York’s voice will, in all probability, be potent.”13 According to historian Brummer, “By the time the Union State Convention met at Syracuse — May 24th — Lincoln’s strength with the mass of the party was so apparent that the convention adopted by acclamation and with hearty cheering a resolution approving his administration, ‘recognizing his integrity and patriotic efforts to suppress the rebellion,’ and expressing ‘its preference for his renomination. Thurlow Weed, Horace Greeley, Henry J. Raymond, and Roscoe Conkling were the big lights in attendance. 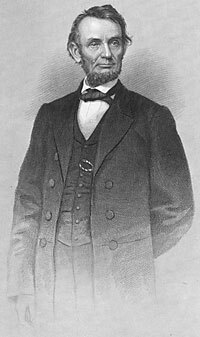 The rivalry between the two wings of the party broke forth because of the presence of two delegations — both, however, represented as earnestly favoring a second term for Lincoln — respectively chosen by the Seward and radical organizations of New York City.”14The split in the party was reflected by the vote on the four statewide delegates to the Republican National Convention the next month in Baltimore. Two Seward-Weed delegates were elected: Henry J. Raymond and former Senator Preston King. Two anti-Weed delegates were chosen, both former Democrats: Daniel S. Dickinson and Lyman Tremaine. Glyndon Van Deusen, Thurlow Weed: Wizard of the Lobby, p. 307. Abraham Lincoln Papers at the Library of Congress. Transcribed and Annotated by the Lincoln Studies Center, Knox College. Galesburg, Illinois. (Letter from Abram Wakeman to Montgomery Blair, March 25, 1864). Sidney David Brummer, Political History of New York State During the Period of the Civil War, p. 375-376. William Frank Zornow, Lincoln & the Party Divided, p. 60-61. James G. Randall, Lincoln the President: Last Full Measure, p. 119. Sidney David Brummer, Political History of New York State During the Period of the Civil War, p. 377. Howard K. Beale, editor, The Diary of Edward Bates, p. 344-345 (March 13, 1864). 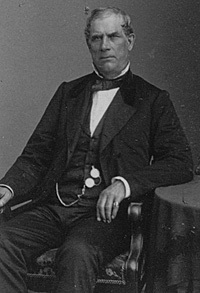 Sidney David Brummer, Political History of New York State During the Period of the Civil War, p. 377-378. James G. Randall, Lincoln the President: Last Full Measure, p. 123. Reinhard H. Luthin, The Real Abraham Lincoln, p. 509. Chauncey M. Depew, My Memories of Eighty Years, p. 63-64. James A. Rawley, Edwin D. Morgan, 1811-1883: Merchant in Politics, p. 198. Sidney David Brummer, Political History of New York State During the Period of the Civil War, p. 379.